Cataract Evaluation Form: Use this form to help guide you in referring cataract evaluations and making recommendations on the type of cataract surgery your patient desires. Cataract Co-Management Exam Form: Please fill out this form and return it to us. We use this information to not only keep track of our results, but also to fine tune our surgical nomogram. 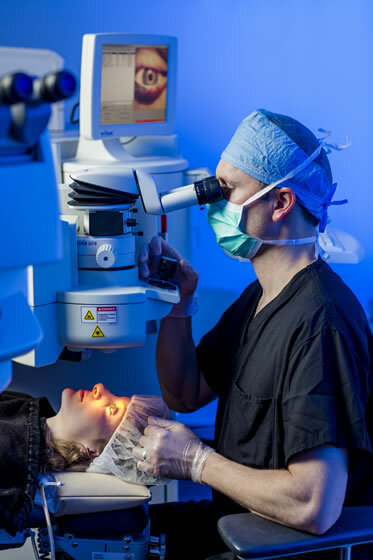 Refractive Surgery Evaluation: Use this form to help guide you in referring refractive surgery evaluations and making recommendation on the type of refractive surgery your patient desires. Refractive Surgery Co-Management Form: Please fill out this form for your patient and return it to us after their follow up examinations with you. ICL Clinical Guidelines: Use this form to learn more about the Visian ICL®. Within this form is a nice educational animated video. Learn who might be a good candidate for the ICL procedure. Ocular Surface Dysfunction: Use this form to educate your patients on the causes and treatments of Ocular Surface Dysfunction. Drop Recommendations After Cataract Surgery for Referrers: Use this set of recommendations after cataract surgery for guidance on postoperative drops. LASIK Recommendations for Referrers: You may follow these guidelines in discussing iLASIK surgery with your patient. Postoperative Care after Cataract Surgery for Referrers: These guidelines are helpful for postoperative care in the cataract patient. Recommendations for Cataract Surgery Referrers: This document contains helpful guidelines when you refer a patient for cataract surgery. Have More Questions?Click here to contact us directly.